Around 126,000 Nebraska residents receive this tax credit each year. Would you be interested in saving some of your hard-earned dollars this tax season? If you’re working and have low to moderate income, you might be able to apply for the Earned Income Tax Credit to reduce the amount of tax you owe – you could receive a refund too! In 2018, 126,000 residents in Nebraska benefitted from EITC, receiving an average of $2,385 per household. The EITC refund supports more than 25 million people every year, helping them catch up on bills, provide for their family and save money. In some cases, this credit can mean the difference between stability and poverty. That’s why United Way of the Midlands has partnered with the Omaha EITC Coalition to spread the word about EITC benefits as well as FREE income tax preparation sites opening up at the end of this month. You must file a tax return to apply, even if you do not owe any tax and if you are not required to. You (and anyone else you claim or your spouse) must have a social security number. You can may file as Single, Head of Household, Married Filing Jointly or Qualifying Widow or Widower. You may not file as Married Filing Separately. You must make below a certain amount depending on your situation. See chart below. You must meet certain requirements if you have a child – see IRS rules here. There may be other qualifications. 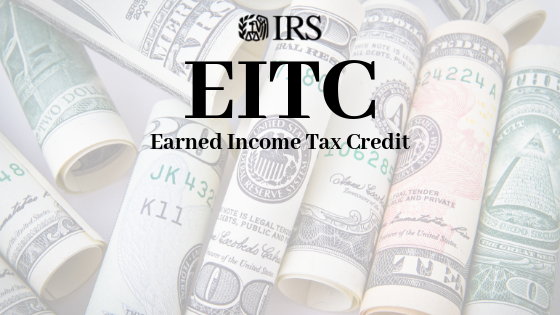 Make sure to review Do I Qualify for EITC? to confirm if you are eligible. Every year Volunteer Income Tax Assistance (VITA) sites open their doors and IRS-certified volunteers help residents file their taxes and apply for EITC. In 2017, taxpayers saved an average of $273 on the cost of tax preparation by visiting these sites. Make sure to double check you have the materials you need before visiting. See the list below. Both spouses must be present to sign the return or in case of divorce/separation, spouse’s name and SSN. Please call 2-1-1 or text your zip code to 898211 if you have questions. One of our information referral specialists can help you get started applying for EITC today.